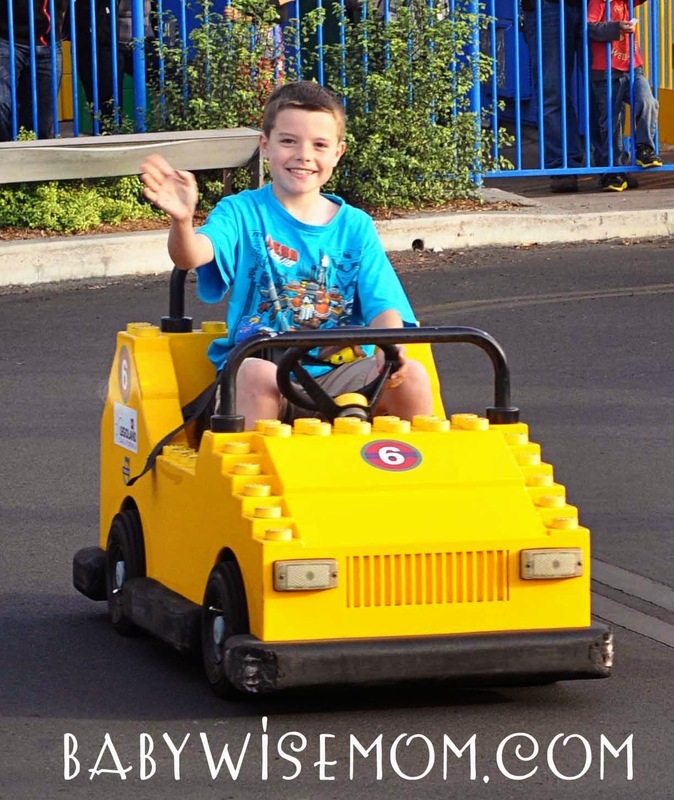 LEGOLAND was what Brayden called “A dream come true!” He loved every minute. 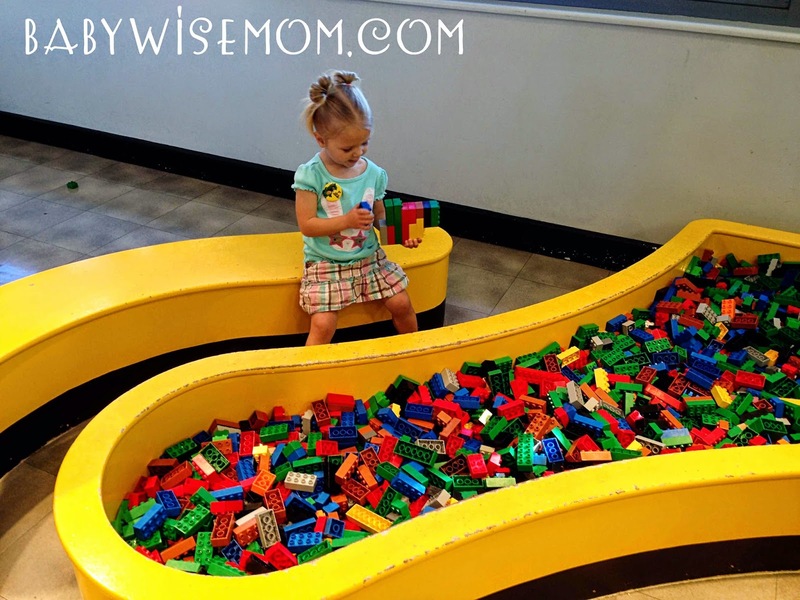 If you have a LEGO lover in your home, this is a stop you will want to make. In the LEGO magazine (which is free), there is a ticket to have one free kid admission with a paying adult. We used these to get our tickets. The code on the coupon did not work. I called Legoland and they sent me to a certain site with a new code. She wasn’t phased by my troubles, so I get the feeling it happens a lot. Don’t give up! Call and get help so you can get your discount. Buying tickets online is cheaper than in person. This was our big debate. Pretty much everyone agrees Legoland is best experienced between the ages of 6-12. I don’t think we will be going back again while Brayden is in that range. I was quite confident this would be his favorite place to visit during our trip (and I was correct). So do we do one day or two? Is one sufficient? I read things and talked to people. Some said two is a must, others said half a day is enough. I still don’t have an answer I can give. We ended up doing one day. 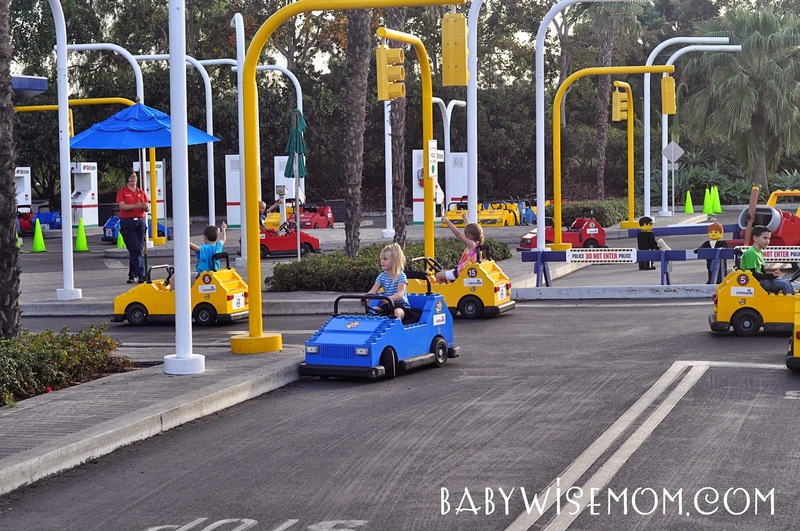 A huge driving reason for this for us was that there are only a few rides that toddlers can go on. We knew this would be sad for Brinley to watch people ride rides. One day would be torturous enough for her. Two days would make it quite torturous for everyone. I know Brayden would have loved two days there. We rode nearly every ride in one day (and we rode many rides twice). We looked at sites and saw 4D movies. We did almost everything we could do. The water park was closed, however, so if you go when the water park is open, two days would definitely be a good idea. There is also a Sea Life Aquarium. We did not do this since we were going to Sea World the next day. 36 inches tall is the magic number that you want to be able to ride a lot of rides. Brinley was 35 inches. For reals. I had originally wanted to go to Legoland on Tuesday of our trip. As I got looking into details, I saw that for part of the year, they are closed Tuesday and Wednesday. During these times of year, it is less busy. But check ahead of time; you don’t want to show up on one of those days and have it be closed. I don’t care where you are going. Go early. I planned on us arriving to each park at least 30 minutes before it opened. Sometimes an hour. I wanted plenty of time to park, get out, get our stuff all situated, and get in line. We were first in line at LEGOLAND. Plus, you won’t be tempted to spend more on parking for “premium” parking if you are early. You can get the row right next to the premium, at a much cheaper price. LEGOLAND, hands down, gets the award for the best bathrooms of any of the parks we went to. The doors to the stalls actually filled up the space–no peeking at people as you walk by (my friend from the Netherlands who lives here now just the other day posted on Facebook asking why we American’s enjoy seeing each other in public restrooms). 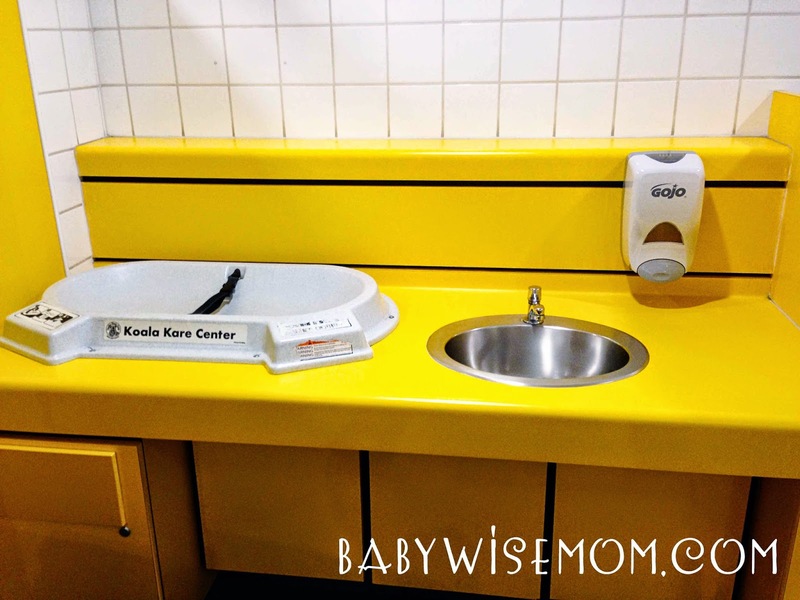 They also had a fabulous diaper changing station with a spot for baby plus a sink right there for washing your hands. Plus, they have family bathrooms. This is always a plus for me. A big question is always about the food. LEGOLAND says that outside coolers and food and drink are not allowed, but that you can bring in food for special dietary concerns. We saw a lot of people eating home-packed lunches in the park. That is definitely an option for you. We ate at Pizza Mania in the Imagination Zone area of the park. We got a family meal and the cost for feeding our family was reasonable and the food was good. They also offer inexpensive LEGO collectors cups with the meal. It was the only park we went to that had a reasonable price on their cup. 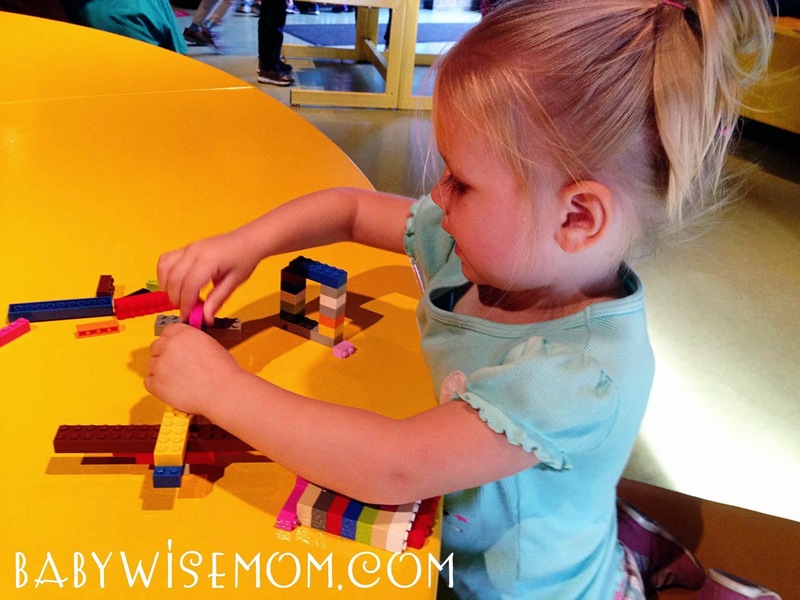 While the pizza was cooking, I took the children to the DUPLO Play/Build and Test areas. These are indoor rooms where you can build LEGOs. Another great thing–you aren’t sitting listening to kids be hungry while waiting for food. They are playing with LEGOs. Legoland has an app for wait times. We were there on a very non-busy day. They said we hit between Veteran’s Day timeframe, which they say is busy for them, and Thanksgiving, which is busy for them. Many rides had little to no wait. Some we just stayed on over and over again. Even so, there were some rides with really long lines. We waited in line for over an hour for one ride. I very much so wished we had checked wait times before getting in line and either waited for that ride to get shorter or just skip the ride altogether. Many of the rides have LEGO play areas where the children can play with LEGOs while the parents wait in line. This is seriously genius. Thank you to the lovely person who had this idea. Thank you, LEGOLAND, for implementing this idea. I read in one review that Disney could pump twice the number of people through the lines of LEGOLAND twice as fast, and I really agree with that. There is no speed in the way LEGOLAND moves people through lines. But at least there are LEGOS to play with while you wait. In every park I have been in, it has been made clear to me that not all employees understand the basics of the Parent Swap that the particular park has. LEGOLAND was no different. Most employees got it, while others did not. It is worth trying. Sky Cruiser is by far the longest wait in the park. The website says that, my experience tells me that, and the workers that day told us that. The workers said it doesn’t matter what the busy level is in the park, the line is always an hour long. If you want to ride that ride, I would highly suggest you get there early and head right there very first. I think that is your only hope at a shorter wait. If it is a long wait, I would honestly skip it. The coasters in LEGOLAND are the big attractions and rumored to be the longer lines in the park. If you frequent other amusement parks, these coasters will not be a thrill to you. They are not intense. 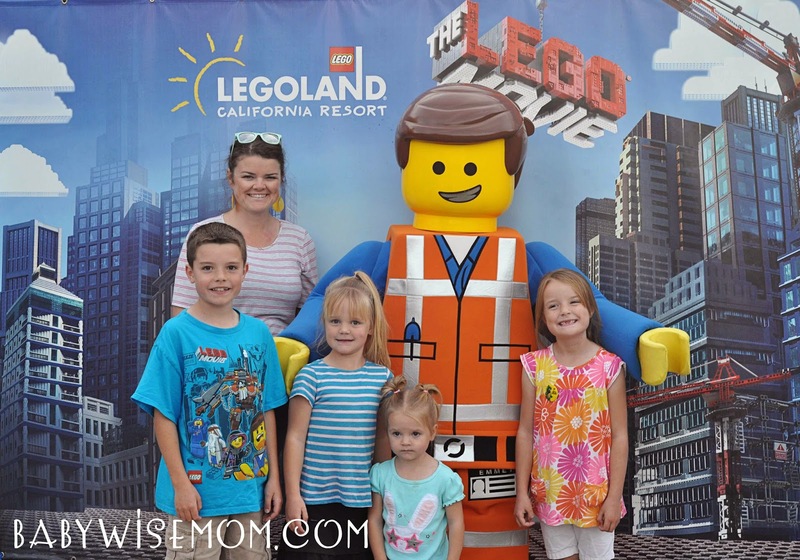 One review I read of LEGOLAND said that the park is more than rides, and it really is. There are some interesting and unique rides, but most of them are just okay. 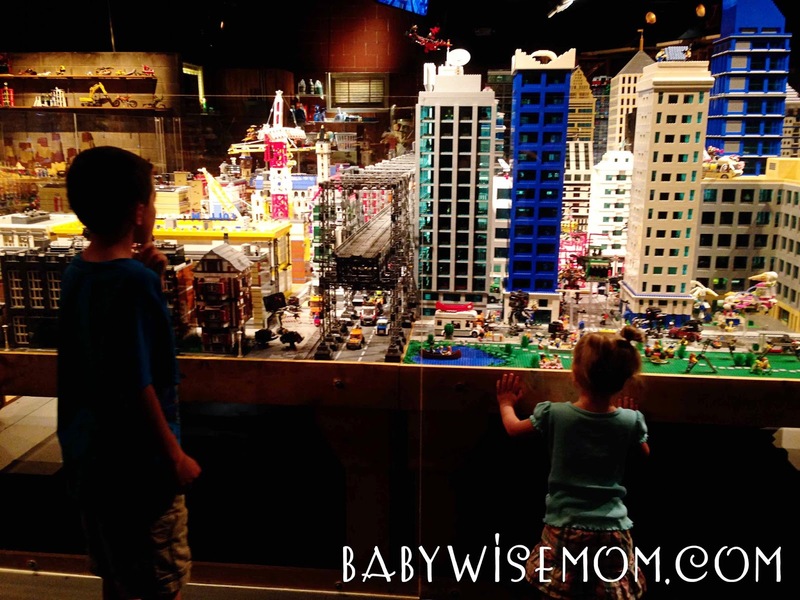 The thrill of LEGOLAND is really in the LEGOs. More on that in a bit. Some rides are very unique and fun. My girls loved the Royal Joust ride in Castle Hill. You ride LEGO horses. AQUAZONE in the Imagination Zone is a fun ride, but a very long wait time. Try to hit that ride at a shorter wait in the day. Our favorite area was Fun Town. The favorite ride of the three older kids was the Driving School and Junior Driving School. The children drive cars that aren’t on tracks. They have stop signs and stop lights. They really loved it. 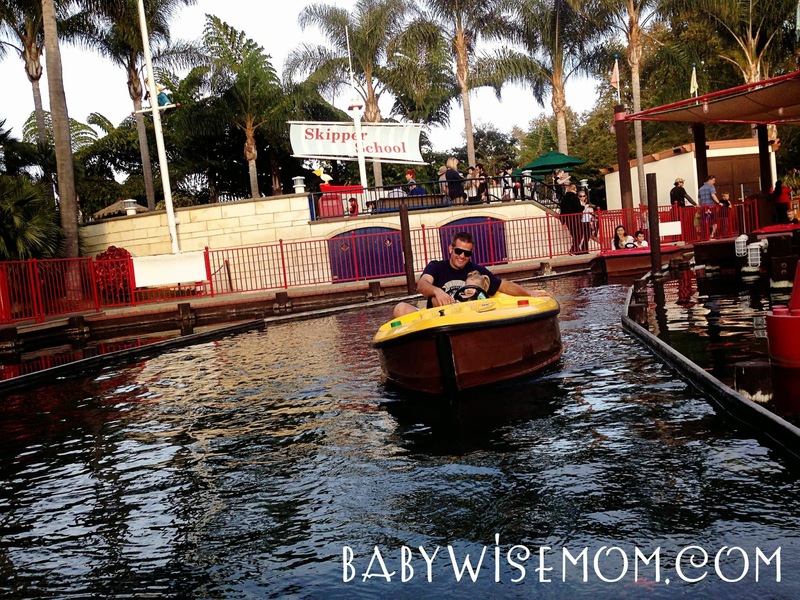 They also had a Skipper School ride where you drove boats, again not on a track. They loved actually driving things on their own. Brinley could ride the Skipper School ride. During Driving School, she rode Sky Patrol over and over. It isn’t thrilling for an adult, but she liked it. Another fun area for us was the Land of Adventure. We really liked the Lost Kingdom Adventure ride. Brinley could ride this and we all thought it was fun. This was probably our second favorite ride in the park as a whole. Like I said above, the park is more about the “LEGO” than the ride. 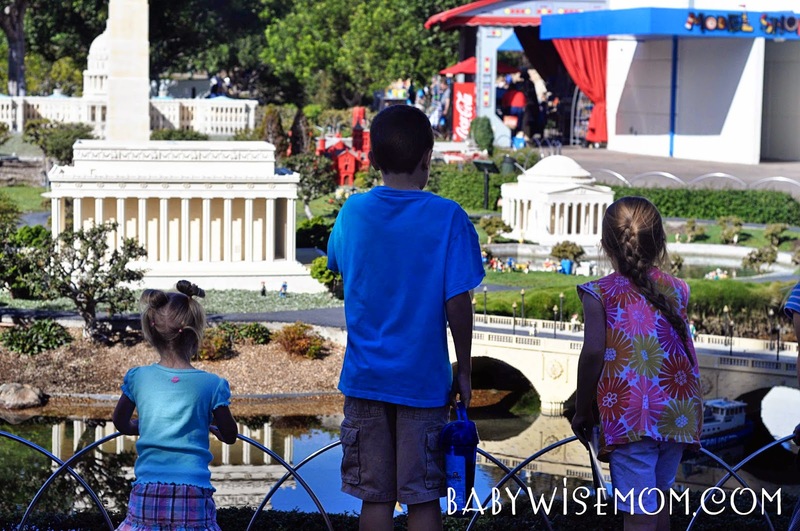 Brayden’s favorite part of the park was Miniland USA. In this area, there are models of New England, Las Vegas, Washington, DC, New York, New Orleans, San Francisco, Southern California, and an entire Star Wars section. These are large models that are to scale. They are made from LEGOs. Brayden said he got a lot of inspiration there. He could have spent the entire day looking at those LEGO creations. Even the girls, on down to Brinley, loved this area. Miniland is a must-see. The LEGO Movie Experience is another must-see. This is in DUPLO Village. Here, you can see the actual set they used in the LEGO movie. Brayden still talks about how amazing it was to see that set. 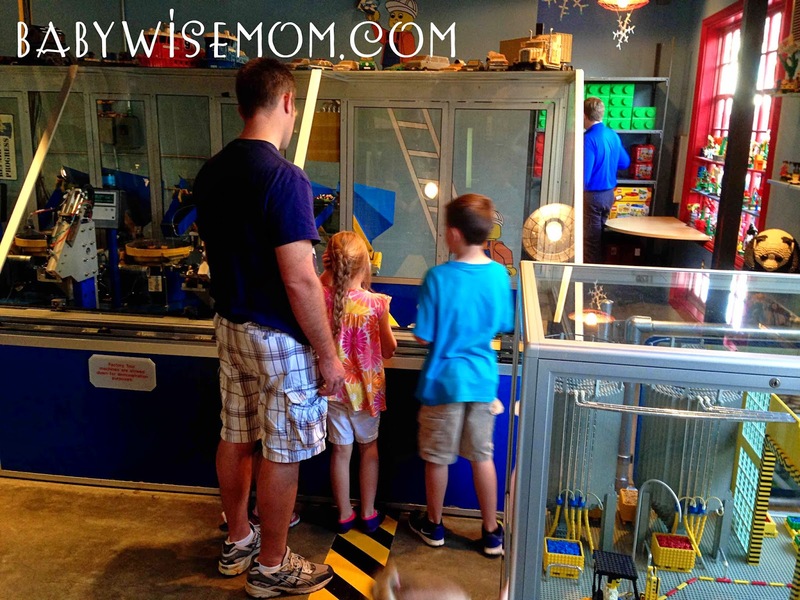 If you have a LEGO fanatic, go to the LEGO Factory Tour in Fun Town. They show you how LEGOs are made. It is very interesting for someone who loves LEGOs. If not, skip it. The girls would have been fine without it, but it was a must for Brayden. It is short, also. I didn’t know what to expect by “factory tour.” It isn’t long. The LEGO Clubhouse is a fun shop. It is in Fun Town. In this shop, you can build your own figurine. You choose the head, hair, shirt, pants, accessories, etc. You can get a 3 pack. 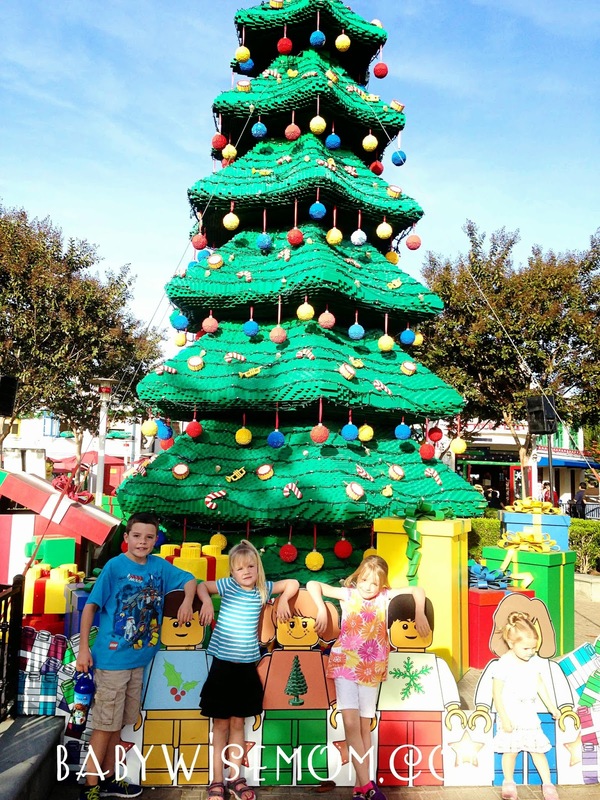 We had our three older children do this for a very inexpensive souvenir from LEGOLAND. While they were doing this, Brinley sat at a table and played with LEGOS. The Big Shop right at the beginning of the park is closed an hour after the park is closed. This is the time to do any LEGO shopping you want to do. Be prepared, though. Lots of other people have the same idea. It was a madhouse. The line to buy something was quite long. Just like Disney trades pins, LEGOLAND trades minifigures. You can bring your complete figures to trade with workers or at designated trading stations. Again, read the info on the website of where you are going. 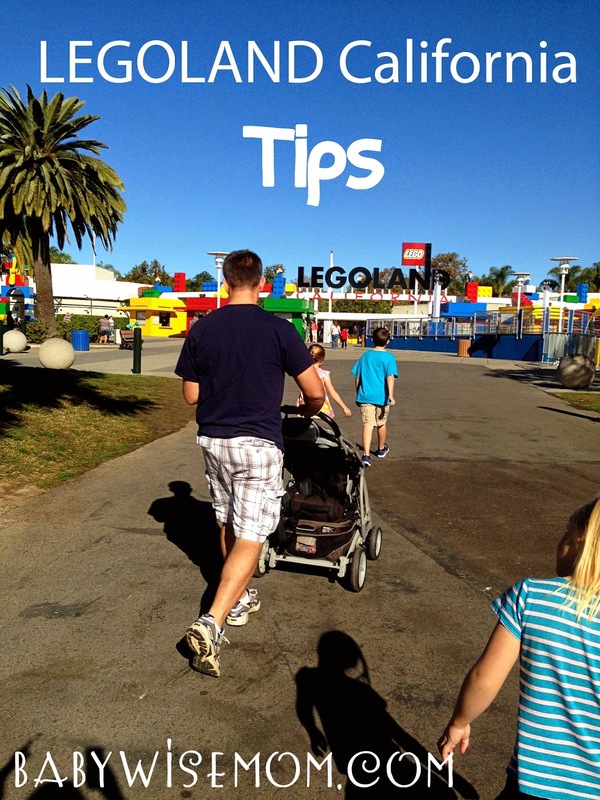 LEGOLAND California has a great “Know Before You Go” page. There is a lot of helpful information here. There are also FAQs with more good info. 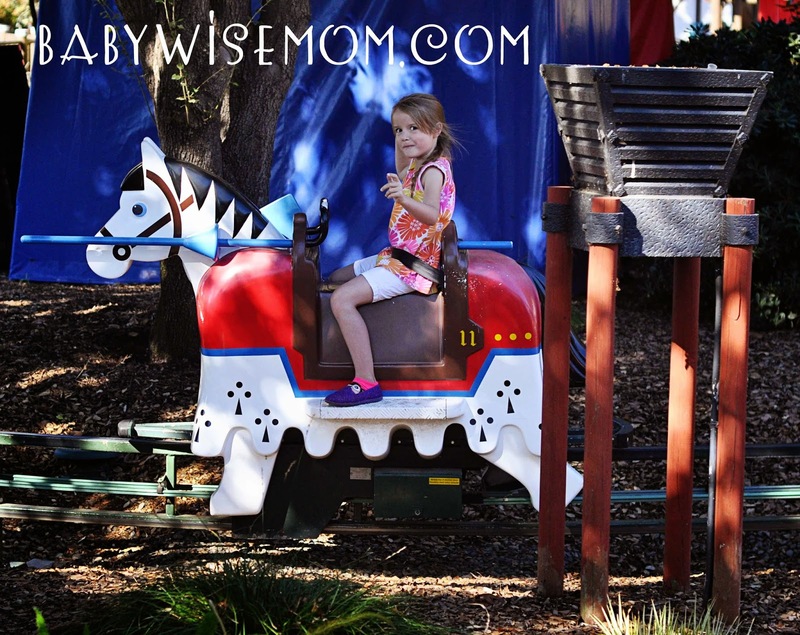 Be sure to check out my General Travel Tips post for more ideas for these parks.